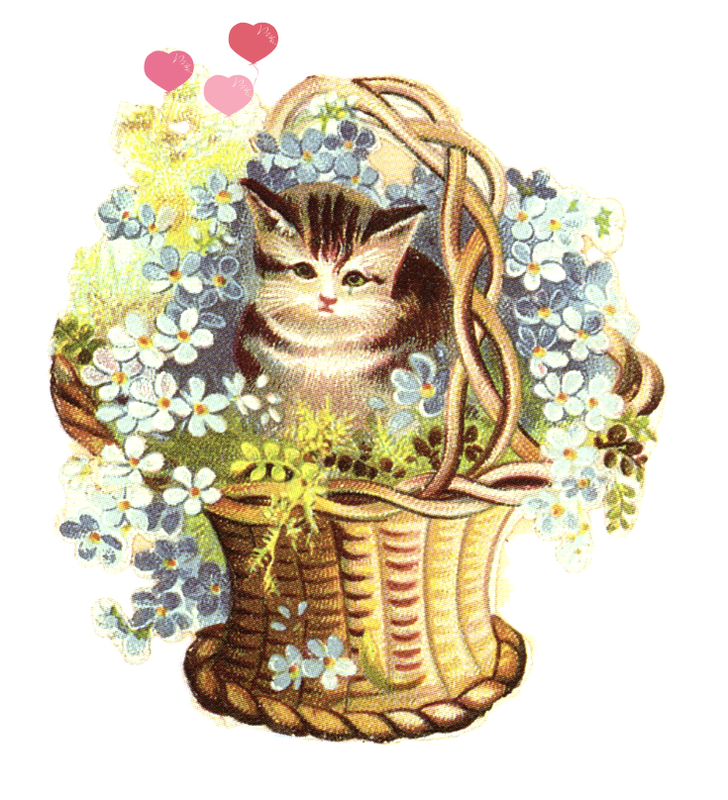 A playfully edited vintage illustration of a kitten in a basket with flowers. This is a public domain work. Free for personal and commercial use. This image was scanned and edited by FreeVintageIllustrations.com. Credit appreciated for online and commercial use.